Are you ready for what you will experience there? 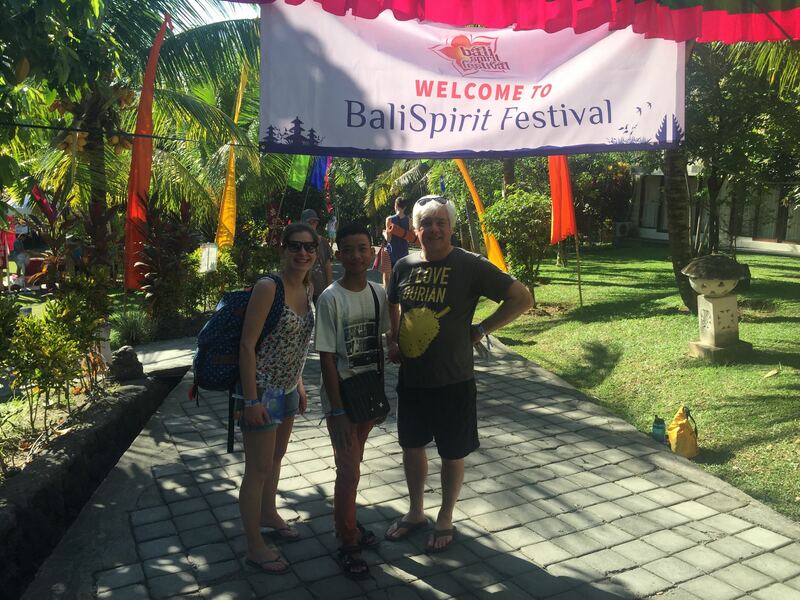 Bali Spirit Festival brings together over 6,000 people from all over the world who want to gain new experience, get to know themselves, face their fears and develop their talents among amazing teachers and friendly people around. 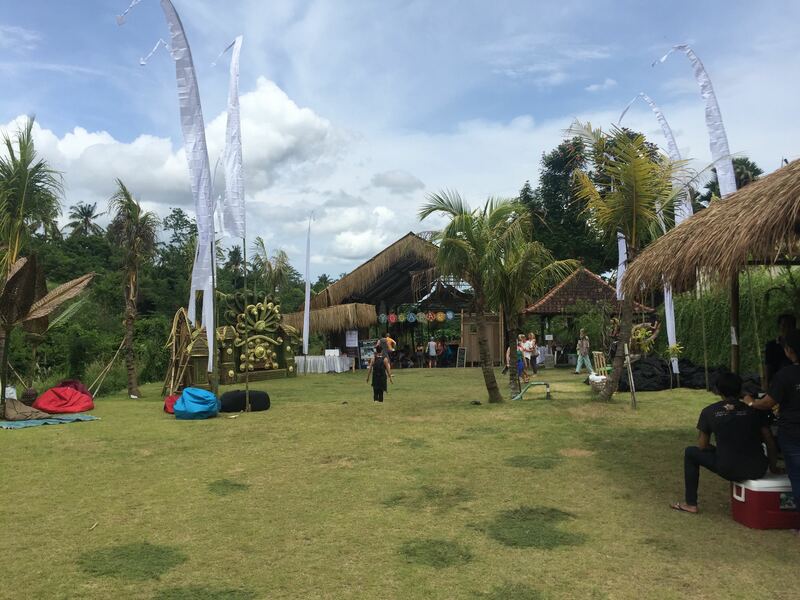 The festival takes place in the surroundings of Ubud city – the yoga and spiritual centre, which literally means “medicine”. BSF is not only an opportunity to participate in a wide range of yoga classes, but also meditation, breathing techniques, various types of development workshops, dance, singing, music and many, many more. BSF is not only joy, smile and happiness, but often getting to know oneself by facing the greatest fears and problems that are uncovered during various activities and outside of them. 1. PREPARE FOR MANY HOURS’ OF PHYSICAL AND MENTAL EFFORT – BECAUSE IT’S WORTH IT! When I came to Bali in March 2016 after over 24 hours of travel, one of the first sentences I heard from my friend was: “Magda, quickly get yourself into bed, because tomorrow we get up before 6 and dash into the first day of the festival”. CThe time of the festival is a very intense work, also for the body. The first classes start at 8, sometimes even earlier and if you think you can do it – you can participate in all kinds of classes and workshops all day long, and in the evening after a quick shower, have a good time with music of great performers during the night part of the festival. At my first festival, I found the strength for 2, maximum 3 classes a day, in 2017 I was going to 3-4 classes. Obligatory point every day at the festival – lunch break and there are lots of stands with delicious, usually vegetarian food (but not only) and coffee giving you a new lease of life. You can also bring your own meals if you prefer this option. The main thing is to find your own mode and not to look at what others do and choose! 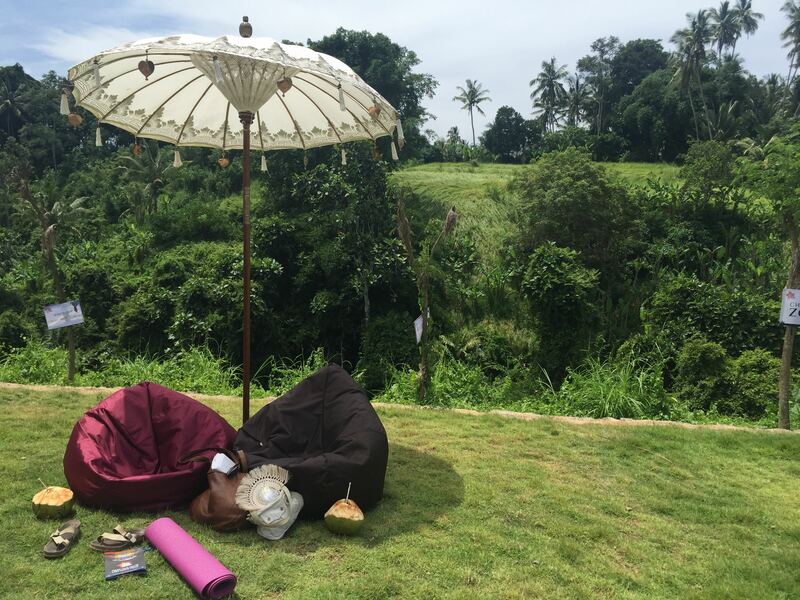 I came to Bali Spirit Festival unexpectedly, but the time spent there was like a few years of therapy, so I decided to go back there. 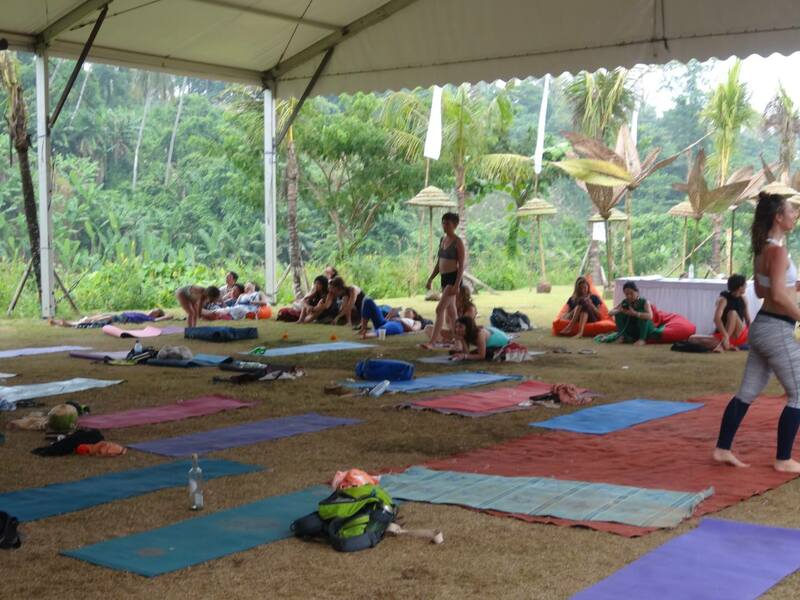 There are lots of types of classes at the festival – you can choose from yoga (sup yoga, kundalini, peace yoga, ashtanga, Iyengar yoga, yin yoga and others), workshops related to self-work, breathing classes, work with the body, dance, chill out with music and many, many more. 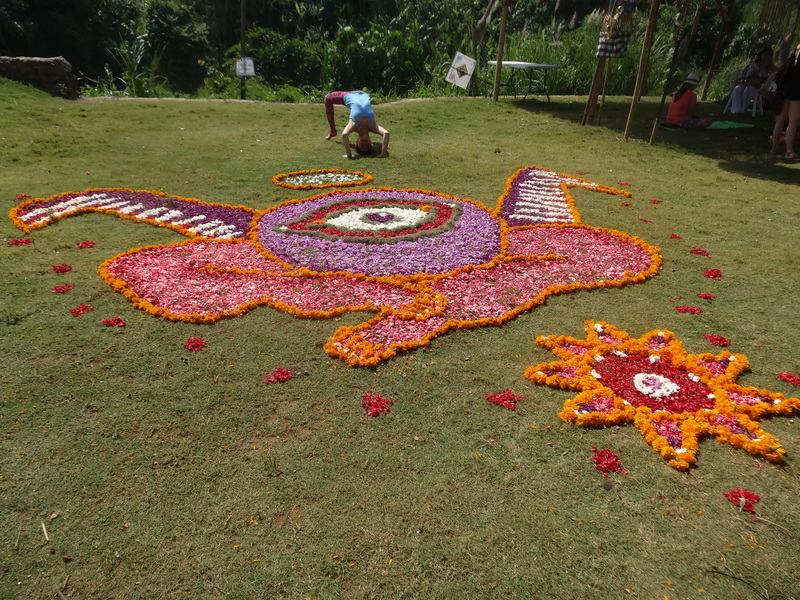 The coolest thing about the festival is that sometimes you do not know what you are getting yourself into – the names of the classes have nothing to do with how different kinds of yoga or work with the body are called in the outside world. First classes in 2016 I chose was workshops dedicated only for women with an amazing person – Celine Levy. “Embracing Womanhood” class hit me hard and some part of the 1.5-hour workshop I cried without even knowing why. At some point in the class I even wanted to escape, but a friend from the group held my hand saying – tears heal, so I stayed. 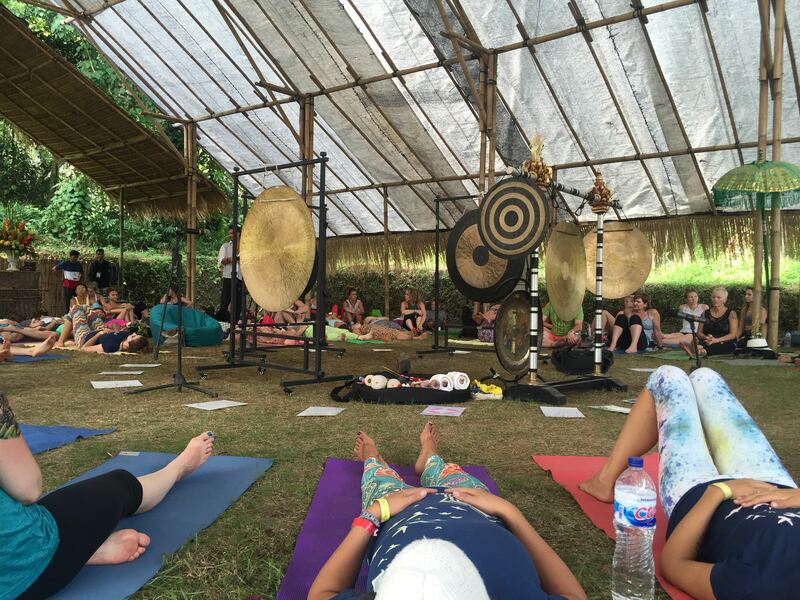 The second class had a gentle name: “Chakra Chanting, Toning & Sound Healing meditation” with Daphne Tse and the band. I decided that singing would be good for cooling emotions. After a few minutes, it was not the singing and dancing that were at the centre of my attention, but the intensity of emotions that people felt around me, which triggered fear and a feeling that I was in the wrong place. When I was leaving, I knew that I was not ready for all experiences, but my ego did not let me leave the class. Next year I ran away from a few classes without remorse because my heart told me so! Remember – there is time for everything and if you do not feel comfortable with something – just do not do it!! The festival is held every year for past several years now. 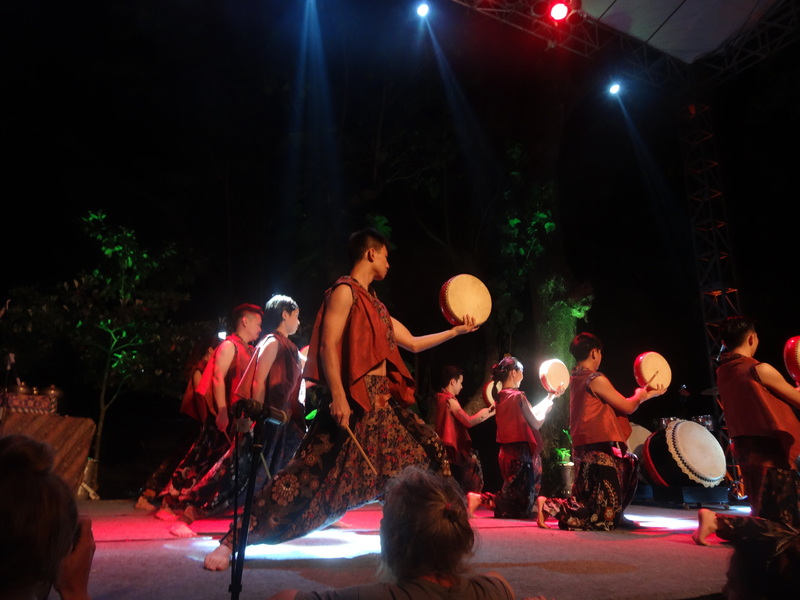 For more information I refer to the festival website: http://www.balispiritfestival.com.